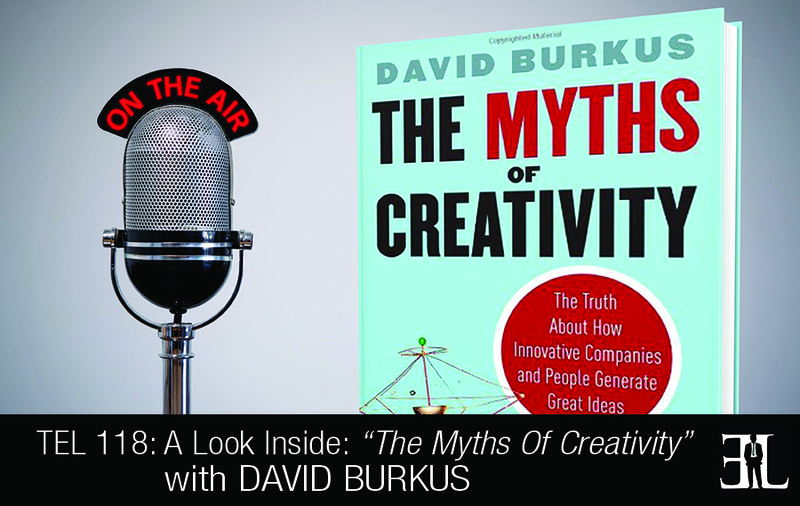 In this episode David Burkus shares his book, The Myths of Creativity where he reveals the truth about how companies and people generate great ideas. In his book, Burkus highlights the mistaken ideas that hold you back and shows you how anyone can embrace a practical approach to finding the best new ideas, processes, and programs. The goal of the book is to teach you what causes you to be creative, what makes someone more creative than others, and how you can develop a consistent flash of creativity. This book is perfect for entrepreneurs who struggle with being creative or makes excuses for not coming up with ideas and needs help overcoming the obstacles of brainstorming new ideas. Most creativity books are about how to have more great ideas. In my book I take a step further back and explain that none of that stuff matters unless we address some of the fundamental beliefs that you or people on your team have about their way to tap into their creative side. If you just read a bunch of books about technique but you don’t change your world view about the role creativity and innovation plays and building a company or leading a great team, than all those books and technique are going to be useless. You could jump in and out of it but only if you read the first chapter first. The number one myth that I would want the reader to takeaway would be the mousetrap myth. The second myth I would want the reader to takeaway is what I call the Eureka Myth which is exactly that it just came to me idea. The stories that we tell ourselves are true even if they are not true. The more you tell yourself that story, the more it becomes true and in psychology this is called conformation bias. Conformation theory says that we selectively filter in and filter out information depending on how it confirms our preexisting way of looking at the world. There are some stories that we are telling ourselves that need to be rewritten and I take aim at 10 of them in the book. As far as for entrepreneurs there are a lot of stories or myths that I think are really damaging if you believe in them. One of probably the most prevalent is what I call the lone creator myth. The lone creator myth is this idea that prolifically creative people were totally lonely people too. Psychology shows that creativity is a team sport, the more minds we have functioning well the better we are. Somewhere along the line the people who make a dent in the world we love to rewrite their history and make it look like they did it all by themselves. This is really damaging because when we are trying to make our dent in the world we feel like we are failing if we end up needing help. But in reality everybody who ever made a significant enough impact in the world to have their collaborators forgotten, have collaborators. So it’s important that we tell the story in a way that lets you know that if you have to partner with people you are not failing but rather you are doing everything everyone important ever did. Another more damaging myth as far as entrepreneurship is concerned is the one that I close out the book with which I call the mousetrap myth. The term mousetrap comes from this phrase that if you build a better mousetrap the world will beat a path to your door. Great ideas get rejected all the time and we like to joke about this now but it’s a real issue. In times of uncertainty we are more likely to say we want creative ideas but when we are presented with them we reject them in favor of tried and true stuff that we know. This can create a problem because as an entrepreneur you can be launching your product or service and facing some initial resistance and instantly feel like that means your idea doesn’t have merit. In reality your idea may very well have merit but you are just facing this cognitive bias. If you have a groundbreaking idea and it really does have promise but you’re struggling to get the world to see it, take heart and keeping working. These are just 2 or 10 stories in the book that all begin with this premise that the stories that we are telling ourselves are true even if they are not true. There are a lot of stories about how creativity works, how innovation happens in big companies, and startups that need to be rewritten if we are going to reach our innovation potential. I am the husband to one wife and father to two kids but I’m also the father of a third kid, The Myths of Creativity. When I’m not in airport lounges on my way to talk about the book I am in the classroom where I teach at Oral Roberts University. I did not set out to write a book about creativity and innovation. I have a Master’s degree in Organizational psychology and a Graduate degree in strategy and leadership, and my background is in leadership. I wanted to know what the leaders of those creative companies do differently than leaders of non-creative companies. The inspiration for the book was me wanting to explore where the differences and perception were around the role of creativity in organizations. I also wanted to know what the psychology research said and where those discrepancies really made a difference.